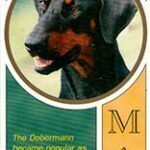 Home Dobes Blog Tell us your Dobey story! Tell us your Dobey story! 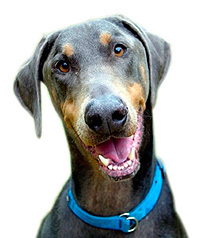 Firstly, I have to report that after the website being live for barely a week, we have already received several enquiries from folks who need to surrender a Dobe to a rescue shelter. We know it’s part of the job of running a rescue organisation, and we expect people to call us up with unwanted Dobes. We also know you’ll probably get fed up of us banging on repeatedly about how much time and effort you should expect to put into a Dobe (or any big dog). We’re just trying to reduce the number of people who buy a Dobe because they let their heart rule their head when faced with a clutch of cute Dobey pups. So, let’s look at the brighter side of rescue for a moment – We want to hear your stories! 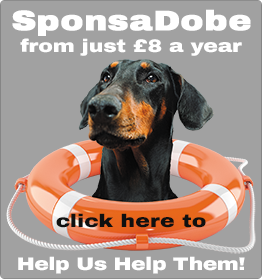 Rescue organisations throughout the country take in and rehome thousands of dogs every year – hundreds are Dobermanns. Looking after a Dobe isn’t any harder than looking after any other medium/large breed. Just as there are people who take on Dobes who probably shouldn’t, there are also lots of poeple out there who are able to, and just don’t realise it! 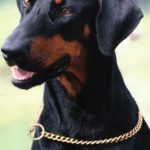 So, to help us tell the world about the great state of life that is Dobe ownership (or rather, being owned by a Dobe), send us your stories, and we’ll publish them on the blog. 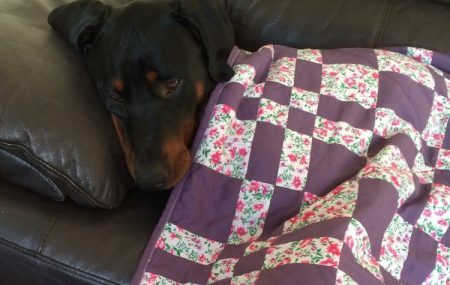 We really hope you can help, as the more stories we can post, the more people will hopefully discover how much joy can be derived from rehoming a Dobe in need. So go on, put pen to paper… or mouse to mousepad, and send us your story! or you can use the form on the Contact Us page – and just choose the option to send us your story. Try to keep your story to around 250 words – but you can send more if you like. Please clearly mark the start and end of the wording of your story. Please include how you would like to be identified in your story (e.g. Brian from Coventry).